Even if you feel that you have job security, consider the notion that these charts and plans for future layoffs are an indicator to an ailing economy. If the economy is in peril, that means that your job could be too. Consider these tips for preparing for unemployment. 2014 has been one long year of economic yo-yoing. Many are breathing a sigh of relief knowing that another year has come to pass, and a better one will be replacing it. In fact, half of the U.S. population feel confident that 2015 will be better than it’s predecessor. The Gallup’s economic confidence index has hit the highest level since the last recession. That said, Michael Snyder, writer for the Economic Collapse Blog says, “not so fast.” He warns that everyone should stop looking to the machine-driven media for false hopes in 2015. Snyder believes that we are in store for a much more dismal year than the media is letting on. “Sadly, what we are experiencing right now is so similar to what we witnessed in 2007 and early 2008. The stock market had been on a great run, people were flipping houses like crazy and most people were convinced that the party would never end. The signs of trouble were there, but most people chose to ignore them. It appears that the confidence in the economy may be another over-inflated attempt at masking the true state of affairs. 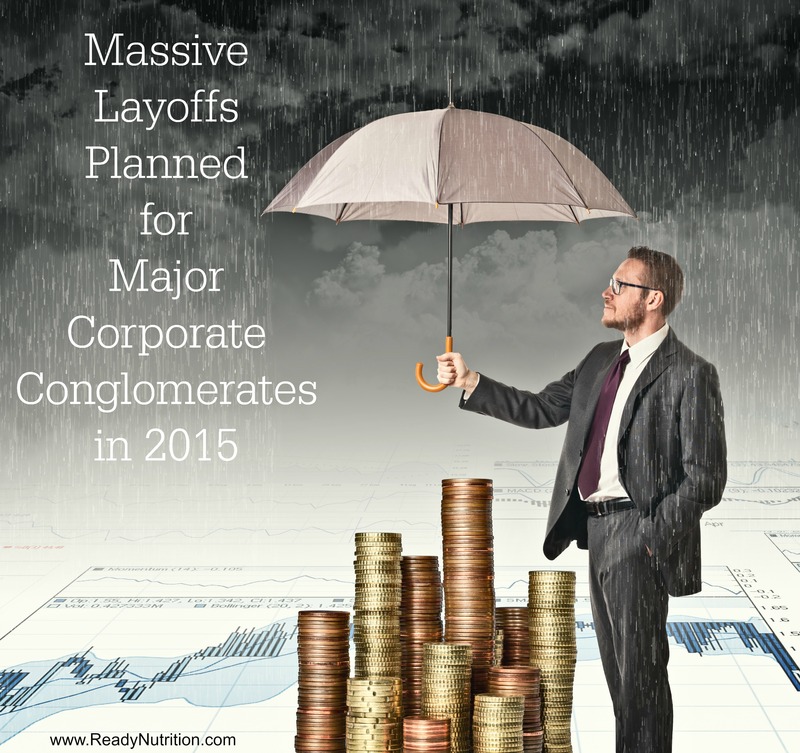 In fact, some of the largest U.S. corporate conglomerates are planning for massive layoffs in the coming year. In order to cut losses due to a disappointing quarter, the popular soda company plans to cut at least 1,000-2,000 jobs in coming weeks to try and rein in costs. As well, other major companies have also felt the buoyancy of the world economic markets. Halliburton, USPS and even IBM are also hinting at layoffs in 2015. Since 2008, prices of products have continued to rise in order to adjust for the declining economy. 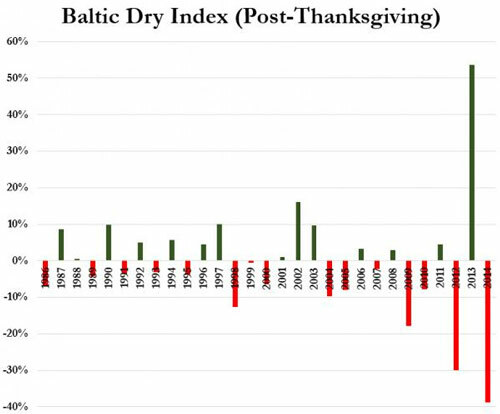 As Mac Slavo of SHTF Plan points out, the Baltic Dry Index, a key indicator of economic health and stability, has collapsed to nearly the same levels we saw in the 2008 collapse. “To say that there has been a massive slow-down in global trade does not do justice to the seriousness of what’s happening. Central banks around the world have literally pumped trillions of dollars into the system over the last several years and the only thing they have really accomplished is to send stock markets to new highs and the enrichment of bankers who have had the benefit of money with no borrowing costs. Other than that we are seeing a total destruction of the economy. Consumers aren’t buying. Decent jobs are nowhere to be found. And costs for average people are going up in the form of taxes and essential goods. You know that SHTF moment you’ve been waiting for? This is it. Unemployment is the top reason for personal disasters. Similar to any type of disaster planning, your primary concerns for a personal SHTF event are to keep the basics in mind: food, utilities and shelter. As long as you have food on the table and a roof over your head, you can manage most issues that come your way. Before an unemployment crisis in imminent, you want to plan for it by saving money and accruing shelf stable foods. Keep your survival basics in mind. As a goal, each month plan to purchase an extra month of food reserves, as well as, money reserved for utility and rent/mortgage. Then, add more food and saved money to your unemployment stockpile. Your overall goal is to have a 6 month supply of food and money reserved for utility and rent/mortgage. Ideally, you want to store shelf stable foods that your family normally consumes, as well as find foods that are multi-dynamic and serve many purposes. Consider storing a bulk supply of these shelf stable pantry foods. In the long run, these have long-term storage lives so you don’t have to worry about putting food on the table. Further, shop only to replenish the stockpile and plan your meals around the food you have stored away. Cut the budget. When job loss occurs, your finances will quickly dwindle and your budget may simply be too tight to take care of everything. It’s time to live more modestly and cease all erroneous spending. In fact, this article gives suggestions on how to live on $1,000 a month. That said, choices must be made as to which bills can be paid and which ones will need to be put off until the budget allows. If you decide to leave some bills unpaid for a while, make sure the unpaid bills are those of unsecured loans. Things that are less important are credit cards and non-essential monthly bills such as cable and cell phones. Although you may not want to go without these things, it’s better than becoming homeless. Remember the prepper saying, “Categorize your ‘nice to haves’ and your ‘need to haves’.” As well, be aware that skipping these payments will damage your credit rating, however, it’s better to have poor credit than to have hungry children. Prioritize by paying for food, utilities and shelter before anything else. Use thermal room darkening window coverings to help shield the interior of your home from the hot summer sun. Spend time together as a family, lighting only one room in the evening. Use your crockpot instead of your oven, especially during hot weather. Collect rainwater for all of your outside gardening needs. Hang laundry to dry on a laundry rack instead of using your electric dryer. Recharge solar garden lights by day and bring them inside and place them in vases at night. Try cooking using a solar oven if your climate allows. Generate additional income. Further, you may want to consider coming up with a back-up plan to generate additional income in the event of a worst case scenario. Do you have a skill that you can provide to others? Are you a whiz on the computer? Perhaps, you can offer to fix people’s broken computers by starting up an at-home business? Or, if you have mechanic skills, you can offer your services that way. This post has a ton of ideas to get you started. To conclude, while many are taking everything they hear at face value about the prospering economy, others have a more guarded perspective. Take action now to prepare for the possibility of unemployment and a declining economy with the tips listed above. You know what your family needs to thrive during a disaster. Now is the time to invest in those needed items. Having emergency reserves to fall upon during times of economic discord can help your family fluidly transition into making adjustments to the budget and concentrate on finding employment. I am retired and living on $1000 a month for several years now. it is sometimes difficult but better since I lost my house and am now in a small apartment. its very different but im learning to like it because I don’t have all the work to do on the property. I burned through my 401k and now have only my social security and $16 a month in food stamps. I have always been a prepper and am lucky to have lots of storage here. I do all my own cooking and just replaced my old dehydrator with a nice stainless LEM. I cant wait to start using it. I can see what this year is going to be and you have reinforced those feelings I’ve been having. gotta get more food put up for the hard times ahead. Coca Cola can go wipe their asses with their soda cans, I will never buy their crap.